Today we kick off of our “How I Innovate” series featuring people from all different fields who are creating unique ways to save the world. Every Friday will feature a new person and we hope their posts will give us insight into how education needs to shift to empower young people to save the world. An amazing innovator, Brian Weinberg founded Blended Profit, an organization that aggregates actionable resources for people committed to a lifestyle that supports business for social good. We talked with Brian about how he innovates. Education to Save the World (Ed2S): What is Blended Profit trying to achieve and how does it do so? 1) The first way is through our resource center. The resource center makes it easier to interact with those businesses. 2) We also have a live show every Tuesday evening called Gamechangers where we interview thought leaders. We talk about how we make this approach (to consumption) the new normal. 3) Third, the brother to Blended Profit is the party…Shop for Good. The idea behind it is that there’s a bunch of struggling social enterprises that want to do good, but consumers don’t know about them or where to buy them or they’re not being differentiated at the point of sale. So we developed a Mary Kay type party reinvented with technology that would expose people to these ideas and widen the bubble by bringing these conversations to a larger audience and building conscious consumption…We want to provide a tribe of support and leadership. Ed2S: What did you need to know, be able to do, & believe to make your idea a reality? Brian: The number one thing that is lacking in the world is effort. I don’t think I’m special, I just think I was determined enough…I was being critical and thinking about the big picture. I think that I was curious and I wanted to help people and I was willing to put time and money in to help people. Everyone is excited about this, but if you really look at the things that you are buying, are you buying those products every day? Well no, until it’s that main stream, we’ll keep learning along with everyone and aggregating resources. My interest and my passion is fixing capitalism, making it as big as we want it to be, but in a just way. Ed2S: What key principle or belief will you keep at the center of your career as you continue to innovate? Brian: Two things. First is integrity. It’s just super important that you do what you say you are going to do. That people know that they can count on your word. Second is hustle. Those two things combined are powerful. If when you say things, you mean it and you have a strong sense of hustle then you are powerful. So what can we as educators learn from Brian? Two things come to mind (though I am sure there are many more). First you gotta have passion. In the end, a lot of what we do is about how much effort we put into something and you’re not likely to put in the effort if the passion isn’t there. Brian has a clear passion – fixing capitalizing by growing the good economy. That passion pushes him to put in the effort necessary to make sure the way he is interacting with the economy promotes those goals and to facilitate others doing the same. 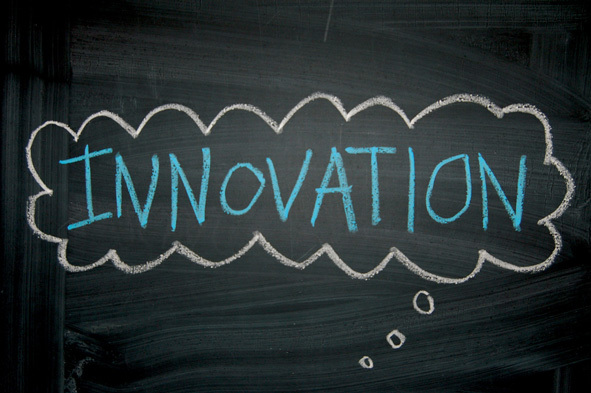 Second, having a core purpose and guiding principles allows you to keep innovating. In Brian’s case he had a clear purpose – a goal he wanted to accomplish (growing conscious consumerism) – and two important concepts or guiding principles about how to do that (integrity & hustle). Keeping these ideas at the center of his work, he created innovative ways to work towards his purpose. 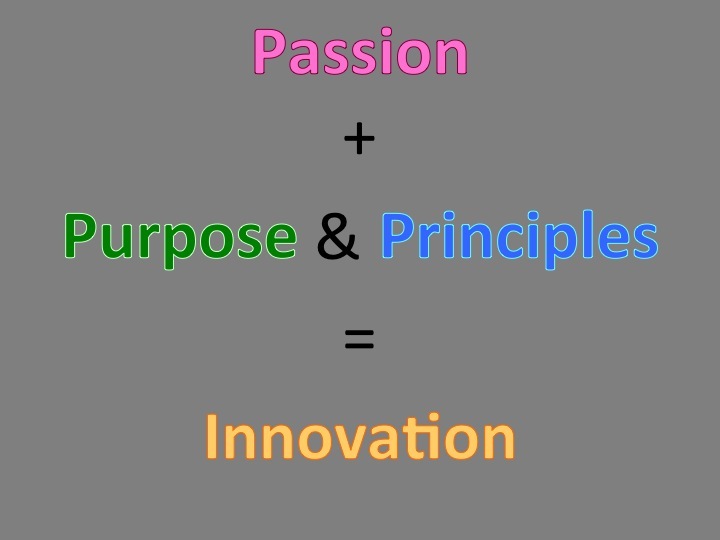 The take home message: Innovation needs passion to energize us and purpose & principles to guide us. 1) What would a school look like that developed students’ passions, helped them find their purpose, and developed principles to guide them? 2) How do we make it happen? Thanks to Brian for getting us thinking and kicking off our new series. Have a wonderful weekend everyone and happy world changing! Previous postTRANSFORM your classroom in 8 words or less!